Truck accidents differ from other types of vehicle accidents in a number of ways. Just about everyone has had the nerve wracking experience of seeing a semi-truck barreling down on them in their rearview mirror. Big rigs can weigh up to 80,000 pounds. By contrast, the average passenger vehicle weighs in at about 4,000 pounds. With a weight difference like that, it’s easy to see how a truck can cause major damage to a car and its occupants. But there is more to truck accidents than just a size difference. There are many other reasons why truck accidents are different from other types of motor vehicle accidents. If you’ve been injured in a truck accident, it’s important to work with an experienced Philadelphia truck accident lawyer. You have important rights, and it’s in your best interest to act quickly to protect them. Truck accidents differ from other types of vehicle accidents in a number of ways. Understanding why they’re different is just the first step in knowing why it’s critical to protect your legal rights after a truck accident. In the standard car accident, there are usually just two vehicles involved. Of course, there are definitely cases in which multiple vehicles pile up in a crash, but these cases are comparatively rare. Even when a car accident involves more than one vehicle, the parties involved are generally private individuals driving their personal vehicles. In a truck accident, however, you must deal with more than just the truck driver and the driver of the other vehicle. Because a trucker usually works for a carrier company, truck accident cases almost always involve the trucker as well as the carrier company that employs him. This makes truck accident cases more complicated than the average car accident. Additionally, these parties may be from other states. For example, the trucker might live in one state, whereas the carrier is located in yet another state. Any time you must file a lawsuit against parties in other jurisdictions, the case becomes more complicated. The trucking industry is regulated by the Federal Motor Carrier Safety Administration (FMCSA), which is a federal agency. When a truck accident occurs, it’s possible for local, state, and federal authorities to investigate the crash. Additionally, the FMCSA has the authority to take disciplinary action in cases in which it determines that a trucking company or truck driver is an imminent hazard to public safety. Any time a case involves federal law, it has the potential to be much more complicated than a case that takes place under state law. In many truck accident cases, both federal and state law apply. Unfortunately, it is quite common for truck accidents to involve catastrophic injuries. The motorists involved in truck accident cases must often live with permanent and debilitating injuries that change their lives forever. These injuries can quickly drain a person’s finances and max out their insurance benefits. It’s very important for truck accident victims to obtain the full and fair compensation they deserve in their truck accident case, as there is no opportunity to go back to court and ask for more compensation once the case has concluded. According to the FMCSA, there were 4,311 fatal large truck and bus accidents in 2015. This is an eight percent increase since 2014. Additionally, fatal truck accidents have jumped 26 percent since 2009. The number of non-fatal truck accidents increased from 87,000 to 88,000 between 2014 and 2015. Between 2009 and 2015, the number of non-fatal truck accidents increased by 62 percent. According to the Insurance Institute for Highway Safety (IIHS), truck accidents are on the rise. The majority of fatalities caused by truck accidents involve passenger vehicle occupants. Truck braking ability is a leading factor in truck accidents, as trucks take between 20 and 40 percent longer to stop compared to passenger vehicles. Another common reasons for truck accidents are hours-of-service violations by truck drivers, who are supposed to be limited to 11 consecutive hours behind the wheel. 66 percent of truck accident deaths are occupants of passenger cars. 16 percent of truck accident deaths are pedestrians, bicyclists, or motorcyclists. The number of truck accident fatalities in 2016 was 27 percent higher than fatality rates in 2009. 73 percent of truck accident deaths in 2016 involved tractor-trailers. 21 percent of truck accident deaths in 2016 involved single-unit trucks. In 2016, 60 percent of fatal truck accidents occurred on major roads other than highways. In 2016, 48 percent of fatal truck accidents happened between the hours of 6 a.m. and 3 p.m. However, truck accidents occur, they more often than not leave a victim with life-changing injuries. 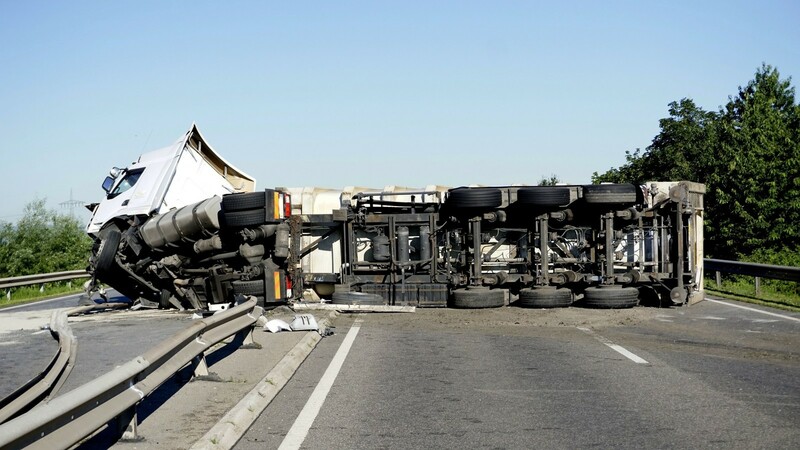 Anyone who has been involved in a truck accident in Philadelphia or the surrounding areas should speak to a Philadelphia accident lawyer who specializes in truck accident cases. Prior results cannot and do not guarantee or predict a similar outcome with respect to any future case. Recoveries always depend upon the facts and circumstances of each case, the injuries suffered, damages incurred, and the responsibility of those involved. This article is not to be considered advise, only the execution of the contingency agreement with this law firm will constitute anattorney-clientt relationship.The contents of this article are for general information only. If you would like to pursue a claim please contact an attorney immediately to discuss your specific facts and circumstances regarding your claim. Some cases accepted by this law firm may be referred to or worked on by other lawyers, depending on the area of practice and specifics of a particular case.